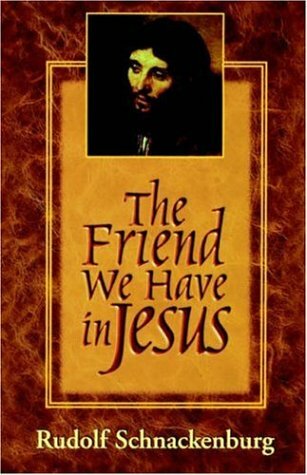 In this enlightening book, Rudolph Schnackenburg asks, who is Jesus for us today? By delving into the relationships Jesus had during his lifetime with biblical figures such as John, Peter, Mary, Martha, and Lazarus, Schnackenburg discovers that Jesus must be seen as a friend--a personal friend--of everyone. Schnackenburg writes that friendship must prove itself genuine during times of persecution and suffering. Friendship with Jesus gives Christians the strength of the Holy Spirit to overcome the difficulties that can make their way into daily life. By reviewing our relationship with Jesus as a deep and profound friendship, Christians can recognize the compassion, care, communication, and commitment that Jesus offers to us through our faith.